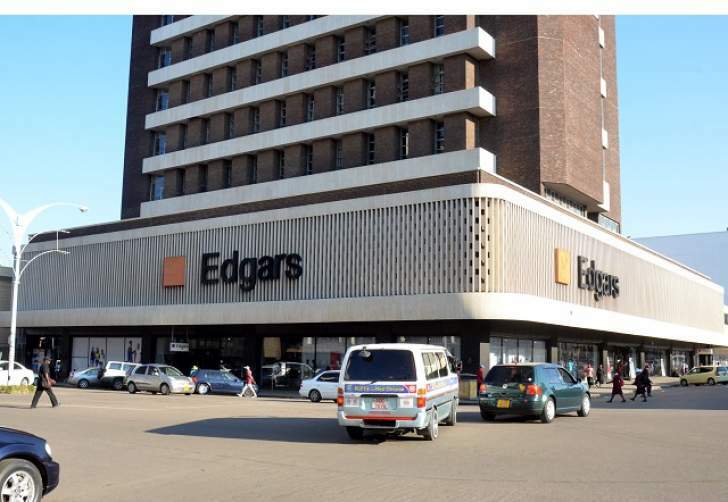 THE annual Edgars Fashion Extravaganza's show curtains came down in Harare on Saturday as Zvishavane-based Nelly Mariri scooped the $10 000 grand prize at the promotion's grand draw. The ultimate winner, Mariri, was joined by other lucky winners from all the country's provinces, who will also receive their prizes to mark the end of the fashion retailer's six-week promotion. In the six weeks the promotion has been running, winners received prizes in weekly and monthly draws in all the 25 Edgars branches around the country. Speaking to the media on the sidelines of the event, Edgars Zimbabwe marketing executive Rumbidzai Dzimba paid glowing tribute to the customers for supporting their line of business. "Edgars fashion extravaganza is the biggest promotion that we run for the year, and the biggest prizes we have been running with for the past six years has been $10 000. We have maintained this prize as we felt it was relevant among other complimentary prizes," she said. "The total number of give aways that we had amounted to almost $30 000. So, throughout the promotion, which ran out for six weeks, we had various activities happening in-store and customers walking out with various give aways." She said this year they had printed about 50 000 entries, which all ran out within two weeks such that they had to re-print. "That is how much support we are getting from our customers and something that we truly value, which is why we will continue running with promotions of this magnitude to make sure that we say thank you and give back to the customers that support us," Dzimba said. Dzimba said 2019 was going to be massive as this year was a test of where they started running with activities, activations and initiatives they had not done before. "We are realising that our customers are very technologically advanced and they are now very global in their approach, so as a brand we don't want to be left out, and we definitely stated investing in initiatives we feel will make our customers feel included in who we are as a brand. "What we are going to offer that is different from what we have been offering in prior years is the aspect of lifestyle. As a brand, we don't want to communicate just about our product, we don't just want to sell our products, we want to sell lifestyle off to our customers," she said. "It is something that we have been researching on for the past five years, where we have gone in to say who is our customer, what do they want , what do they need and those are the activities that will be rolling out for next year that target our customers, and we definitely hope will get a return from that." She said as they do their business, they appreciate their customers. "In every aspect of our business, we do value our customers, so for 2019, there will be lots of excitement and more investments in terms of communicating with customers, and we look forward to welcoming new customers," she said. Meanwhile, talented singer Bryan Kadengu entertained guests at the event.